Update 26-oct-2018: Thanks to everyone who applied for the marketing artist position. At this point we're no longer seeking new applicants. Should we have any additional job opportunities in the future, we'll post about it here and via @SupergiantGames. We’re seeking a talented artist to work with us on a temporary basis to create marketing art materials. The ideal candidate is a proficient graphic designer with video editing experience and good instincts for how to present our games in different contexts, such as digital storefronts and social media. This is a part-time position that could work remotely or on-site at our San Francisco studio. The contract period is four months minimum with the possibility of renewal. Turns out, the more games you make, the more marketing art you need! Compose high-quality marketing art consistent with the look and feel of Supergiant, often using pre-existing assets and under tight deadlines. Create digital store art based on requirements and best practices of the respective platforms. Update / re-author game trailers for digital storefronts and social media. Proficiency with After Effects, Photoshop, and Illustrator. Experience using video software such as Premiere or Final Cut. Experience creating animated .GIF/MP4 loops a plus. Organized, efficient, and able to work autonomously. Good at taking or asking for direction. Graphic Design/UX background a plus. We offer a competitive hourly rate, flexibility in your work hours, option to work remotely, and the opportunity to work as part of a tight-knit, creative team. 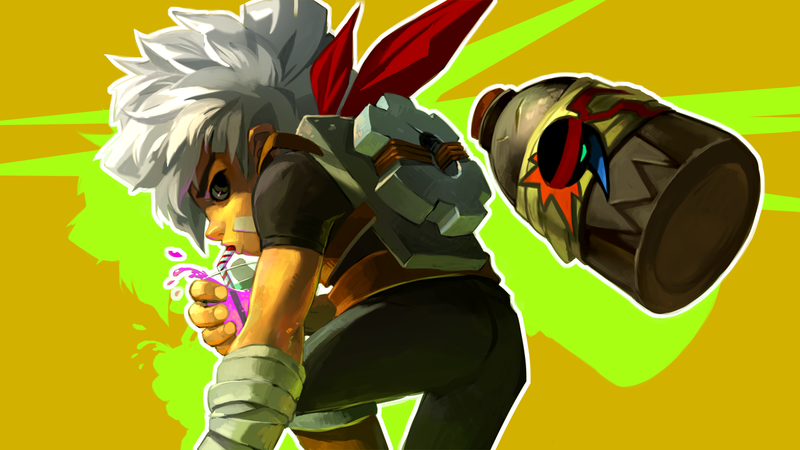 To apply, please send an email to jobs@supergiantgames.com with the subject line "Marketing Artist". Include a link to your portfolio as the first line, and your resume in the body of the email (no attachments please). Please be aware that a paid art test may be requested as part of the evaluation process for the position. We will be accepting applications for this position until October 26, and will follow up with prospective candidates by early November.